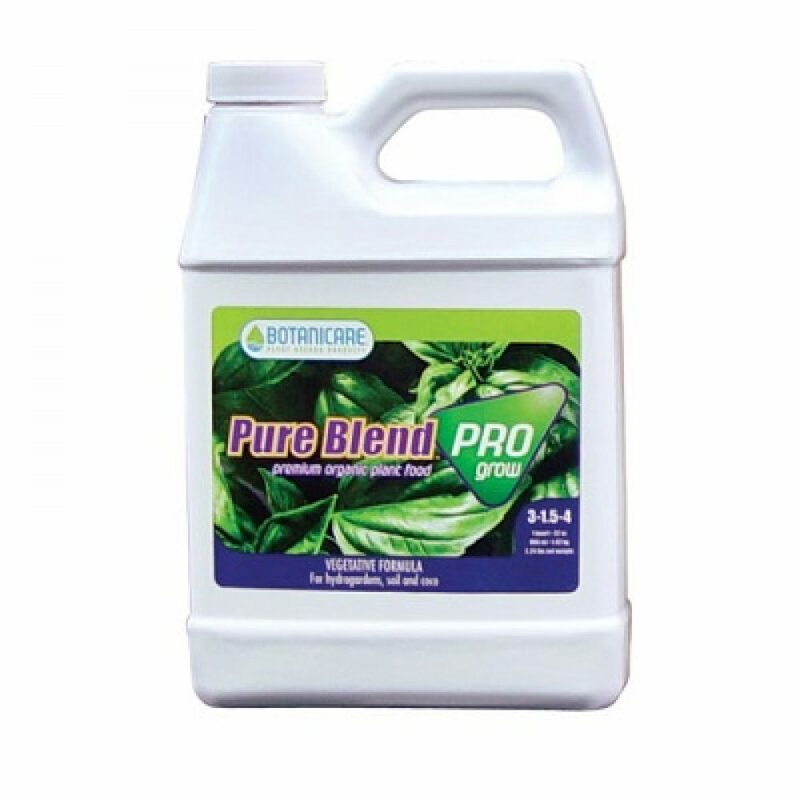 PURE BLEND™ PRO is a hydro-organic vegetative and fruit and flower formula which is a specialty custom blend of organic and natural sources of the essential major, secondary, and trace minerals in 100% soluble form from the land and sea. 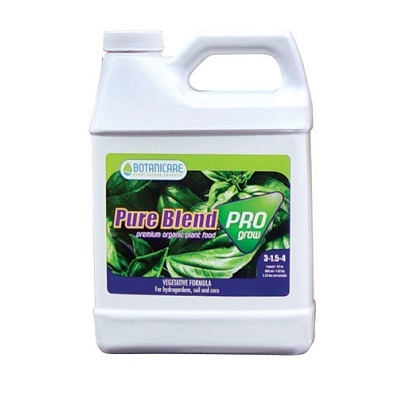 PURE BLEND™ Pro produces vigorous lush green vegetation and superior fruits, flowers, and vegetables. PURE BLEND™ Pro will provide increased nutritional values and is a healthy, environmentally friendly alternative. • Essential elements are not derived from harmful chemicals such as a urea and high concentrates of ammonia nitrate. • Eliminates the danger of exposing plants to toxic heavy metals such as arsenic, mercury, selenium, etc. like in conventional chemical fertilizers. • The organic components of PURE BLEND™ Pro enhance uptake and utilization of plant nutrients. • Plants acquire increased pathogen resistance and hardiness. • Use Pure Blend Pro Grow Formula during the vegetative growth stage.